Moved to Cardiff for a year. Went to university and got a degree in Artificial Intelligence. Moved house more times than I can remember. The point is, this is a long series! 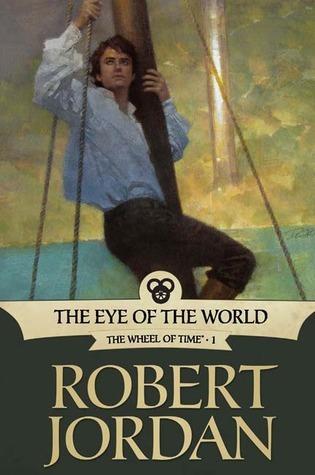 Jordan began writing the first volume, The Eye of the World, in 1984 but it wasn't published until January 1990. 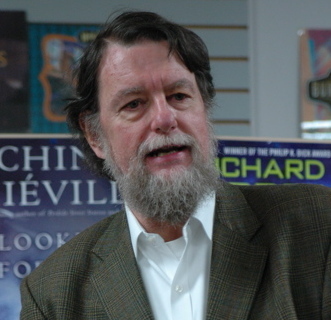 He died in 2007 while working on what was planned to be the twelfth and final volume in the series, but not before making extensive notes so that another author could complete the book according to his wishes. Fellow fantasy author and long-time Wheel of Time fan Brandon Sanderson was brought in to complete the final book. It was subsequently decided that the 'final' book was far too large to publish in one volume and it was split into three separate books. The series was finally completed by the final book, 'A Memory of Light' which was released in 2013. The total number of paperback pages was thought to be around 11,916. 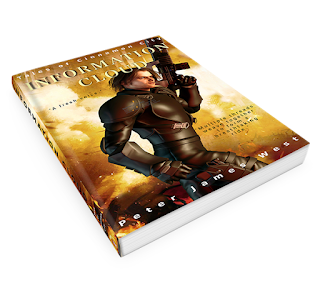 Besides its colosal size, the series obviously has some merit for so many people to have read all fourteen books. The story is complex and Jordan has never been afraid to introduce twenty characters in a few pages. To say that the world he has created is rich in detail would be a monstrous understatement. The imaginary world is vast and detailed to a level that could only be achieved by such a large piece of work. In the early books he described every door handle and dress fabric to such detail that you could manufacture it and put it on eBay, but later the plot is so complex that his detailed mind gets caught up in more intriguing matters. There are countless major characters and points of view. To some, this may seem distracting, but to me it added to the depth of the story. It enabled us to see more of the fascinating world that Robert Jorden had created. and yet I always somehow remembered what the context was when I started reading yet another volume, several years after the last. It all starts with Rand Al'Thor, Matrim Cauthon and Perrin Aybara. The three friends live in a small village known as Emond's Field, in a district called the Two Rivers. After the village is attacked by foul beasts known as trollocks, the young men's lives are never the same again. They are quickly thrown into a world of mysterious magical powers, politics, intrigue and deception. They live in a very dangerous world. The forces of evil are never far away, and they must journey to many strange lands to follow their destinies. Each place they go to is richly detailed and populated by its own unique people. It is impossible to summarise 12000 pages. I won't even try. All I'll say is that this series offers a powerful complex story that is well worth reading. There are too many major characters to name and they all play their part in this unique story. Now that the series is complete, readers can ingest all fourteen books in one sitting. I have no idea how long that would take. My own reading was more leisurely. I read the books over a couple of decades (as they were written). I very much enjoyed the story and the characters, and the rich world that Jordan created. I can only admire a man who goes to such great lengths to write such an enormous and interesting story. The fact that he completed his life's work even after his own death so as not to disappoint his readers is also a testament to how seriously he took his work. 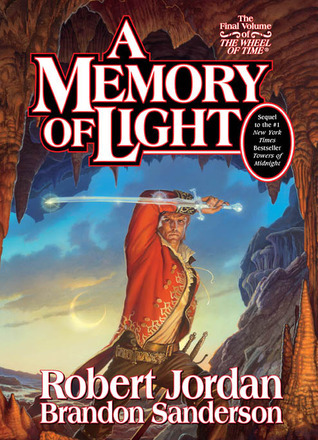 I must also thank Brandon Sanderson for not only finishing the series on Jordan's behalf, but doing so in a manner that was seamless and in the exact same style that Jordan had used himself. It must have been an incredibly difficult task for both Jordan and Sanderson to produce this coherent and impressive piece of work. I can only say that on this occasion, hard work really has payed off. I gave this series five stars, and every book within it at least four stars. The final book was very busy but managed to produce a satisfying conclusion to this truly epic story. Further information about the series can be found on Wikipedia.